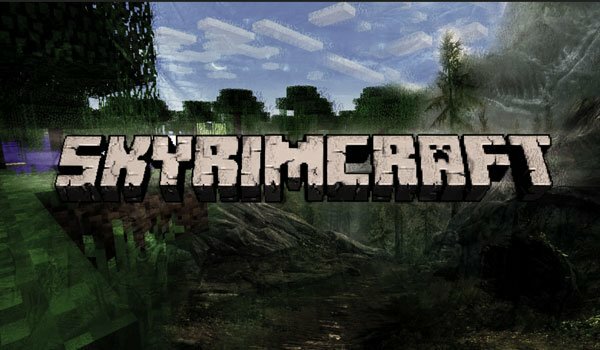 Minecraft has become one of the biggest games, as well as Skyrim, well someone came along to join this two games in one with the SkyrimCraft 1.2.5 Mod. The mod adds a lot of new things, like food, weapons, armor, new mobs, including characters in the villages that sell food, weapons, potions or the familiar cries of Skyrim. To buy this things you’ll need money, or rather, gold that you’ll get killying daedras, among others. It also adds new ores as ebony, bone, orichalcum, malachite, among others. How to install SkyrimCraft Mod for Minecraft 1.2.5? We already have Skyrim in Minecraft!